Since the royal engagement, the necklace has been re-released. 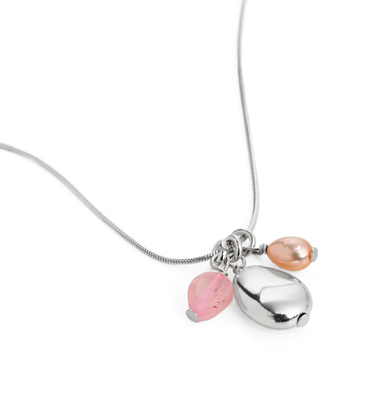 The beautiful Silver Bean pendant with rose quartz and pink pearl charms is available for £46 (about $70) at Claudia Bradby’s site. It’s so delicate, and lovely. I do believe that sales are going to be through the roof on this one. What girl doesn’t want a necklace designed by a princess? Ali Larter is a Mommy!